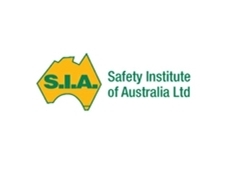 The Safety Institute of Australia Incorporated is the professional body for safety professionals and practitioners. The Institute believes that the distinctive advice of qualified and experienced safety and health personnel and health responsibilities of government, employers and community organisations. 31/07/13 - The Safety Show Sydney presented by the Safety Institute of Australia Inc will feature a host of free safety seminars conducted by work safety specialists. To be held from 3 September to 5 September at the Sydney Showground, the three-day event will feature more than 150 exhibitors providing safety solutions and services geared towards achieving real OHS results in a wide range of industries. Sponsored by Workplace Access and Safety, the free 45-minute seminars will provide inspiration, insights and essential information to ensure safety and compliance at the workplace. Each day of The Safety Show Sydney will feature six presentations covering an array of topics including onsite safety, emergency planning, contractor management, OHS program planning and funding, personal protective equipment industry updates, and an overview of the latest legislation among others. Tony Francis, Event Director of The Safety Show Sydney comments that the free seminar program has been tailored so everyone who attends the show will come away from at least one session inspired and informed. Free seminar details OHS representatives and managers should not miss the session with Brenton Hampson, National Sales Manager of Workplace Access and Safety, who will share the practical secrets behind planning and funding safety projects on worksites. The Fall Prevention Industry Crisis Summit is facilitated by Michael Tooma, Partner at Norton Rose Fulbright and features top industry representatives, with the lively discussion panel aiming to lift the safety of fall prevention installations for both installers and users. Michael Tooma will also present a workshop on bullying, one of the most pervasive workplace management challenges in today’s work environment. The workshop will provide practical guidance on the legal obligations and strategies for preventing bullying. For PCBUs who are involved in contractor arrangements, the session on Contractor Management with Adrianne Strachan, Senior Consultant at the National Safety Council Australia will cover WHS legislative requirements and the expectations of organisations engaging contractors. With ladders being a common sight around most industries, Carl Sachs’ ‘Lethal Ladder’ seminars reflect on a rethink of AS/NZS1657 and the significant impact on height safety around the country. As the Managing Director of Workplace Access & Safety, Carl Sachs commissioned an exploratory study by Professor David Caple to challenge the assumptions underpinning safe design. Find out what the research revealed, and what it means for fall prevention. The seminar by Adrian Manessis, Business Development Manager at myosh will discuss ‘safety management software’ and how to best implement software in any organisation minus the pitfalls. The seminar will also discuss features and functions of good safety management software and how to evaluate software including the use of mobile and new technologies. The seminar on AS 3745-2010 Planning for emergencies in facilities will bring attendees up to speed on emergency planning, training and response procedures. Introduced by Youssef Khalife, General Manager EH&S at Chubb Fire & Security, and presented by Eric Teuben, Trainer NSW/ACT of the Chubb Training Group, the seminar will run on days two and three. The seminar on PPE Standards will be invaluable for operations that use personal protective equipment. Richard Donarski, Team Leader Health & Safety Product Services at SAI Global, will introduce PPE Standards, and explore its implications and opportunities for any company or organisation. Helping site operators and managers stay on the leading edge of safety, Richard Gregory, Managing Director of Navace will present on how new technology centred around smartphone Apps, Cloud and Live Reporting can help facilitate more efficient management of safety, equipment and time. Explore the ‘bottom up’ approach to building a safety culture with Cristian Sylvestre, Managing Director of SafeStart who will show attendees how to quickly get individuals engaged in the safety process, and also provide a new perspective of incident causation. 27/07/12 - The Safety Institute of Australia (SIA) is the professional body for health and safety professionals in Australia, with over 60 years experience and a membership of more than 4,000.The Institute states that it is committed to creating a profession that can deliver the highest standards of OHS, achieving this through the engagement of all relevant parties, including: individual SIA members corporate and strategic partners governing bodies; and key profession stakeholders.The SIA maintains an extensive body of OHS-related information, ensuring members have access to qualified timely advice into public policy and regulation, and research and development to advance OHS knowledge and guidance. The SIA states that it aims to: promote health and safety awareness through engagement and sustainability of the profession develop, maintain and promote a body of knowledge that defines professional practices in OHS create a competent profession that can deliver the highest standards of OHS provide authoritative and timely advice and input into public policy and regulation facilitate the application of OHS principles and expertise in allied fields encourage and prioritise research and development to advance OHS knowledge and disseminate results to the profession and key stakeholders improve professional support for members through the SIA’s programs and services increase membership engagement and formalise partnerships to grow the SIA; and develop a body of knowledge to set health and safety standards, procedures and practices for the profession on a national basis.